It's Time to "Cater to the Culture"! Time: 12 noon - 8pm, BOTH DAYS! This year, building on the years before, we will have our FREE Natural Hair/Protective Styling, Health, and Fitness Classes, M.U.A. 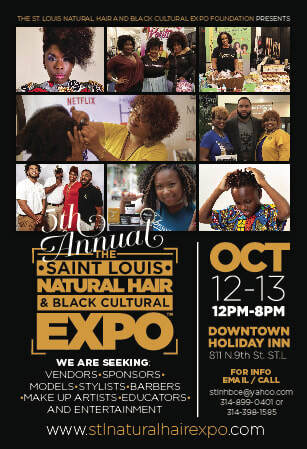 Techniques Classes, LIVE Entertainment, a themed-based Panel Discussion, and Showcasing by stylists, barbers, boutiques and none other than The STLNHBCE Natural Hair Models! There will also be financial, medical, and investment/retirement resources available! Get your tickets early for the entire family so that you do not miss the activities INCLUDING our 50/50 Cash Raffle and our Expo Gift Basket raffles! Early Bird Ticket Sale - $5.00 through July 1, 2019. Seat at stage for Showcasing. This Event is from 12p.m. - 8p.m. Saturday and Sunday Only. LOSE 100 POUNDS IN 100 DAYS WITH THE MINISTER OF WELLNESS - The Minister of Wellness will be the Keynote Speaker at The End of Spring HOLISTIC Health Fair & Seminar Saturday, May 4th 12 PM - 6 PM, HSSU - Emerson Performance Center in St. Louis, MO. Tickets are just $10 in advance: https://springwellnessfair.eventbrite.com. 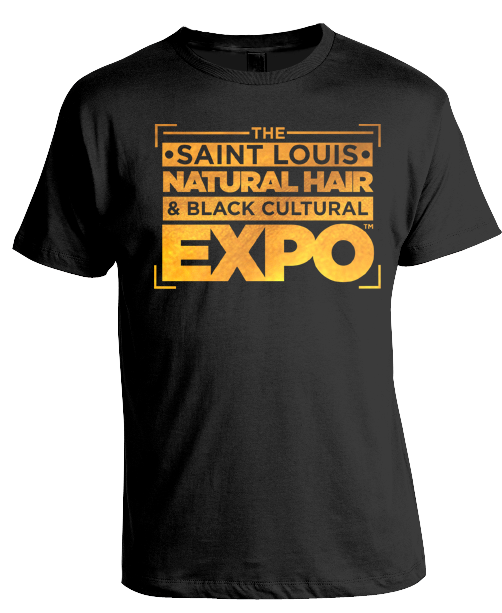 We have room for just 20-25 vendors and sponsors Email Chris at stlnhbce@yahoo.com or call 314-398-1585 cell 314-899-0401 OFFICE 1408 NORTH KINGSHIGHWAY SUITE 106 .